TV presenter and former rugby international Martin Bayfield will return to his policing roots next month as guest speaker at Embrace CVOC’s anniversary dinner. 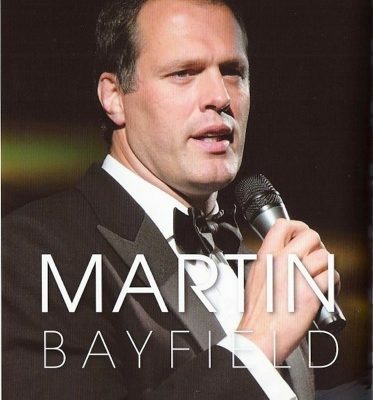 Martin, a former Bedfordshire police officer, enjoyed a successful career in national and international rugby before injury saw him move into acting and broadcasting. Many will be familiar with Martin as a Crimewatch and One Show presenter, rugby pundit and current semi-finalist on BBC’s Celebrity Masterchef. He makes a much-awaited return to this event – Embrace CVOC was adopted by the British Police Rugby Section shortly after its foundation. The children’s charity, established by police officers from Cheshire in 1993 following the terrorist bombing in Warrington, marks its 25th anniversary this year. The story of the deaths of Tim Parry, 12, and three-year-old Johnathan Ball in the attack was recently told in the moving BBC2 drama Mother’s Day. Embrace CVOC has gone on to provide much-needed emotional, practical and cheer-up support to more than 20,000 children and their families right across the UK, in the Channel Islands and Isle of Man. Martin made his England rugby debut in 1991 and played international rugby for seven years when a serious neck injury forced him to retire from the game in 1998. He gained 31 England caps, playing in the 1992 and 1995 Grand Slam sides. Martin also represented the Barbarians, Midlands and British Police sides and his clubs have been the Metropolitan Police, Bedford and finally Northampton where he was also coach to the Under 21’s. He now contributes regularly in the rugby press as well as broadcasting on radio and TV and has appeared in all the Harry Potter films to date as the giant Hagred’s body double. The Embrace CVOC gala dinner, on Thursday October 18, will be held in the grand surroundings of the Natural History Museum in London and is expected to be a glittering fund-raising event.